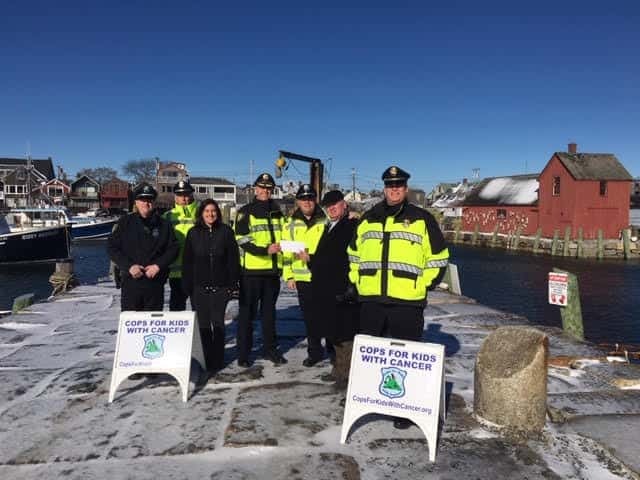 Rockport Police Department presented checks in the amount of $5,426.00 which represents proceeds they collected for No Shave November. Additionally sponsors of the Rockport Police No Shave November contributed $2,360.00 directly to our website. That brings the total raised by the Rockport Police for No Shave November to $7,746.00. Thank you!